Feeling a bit peckish on night watch? When David and I are sailing around, we quickly adapt to the culinary traditions of the places we visit. 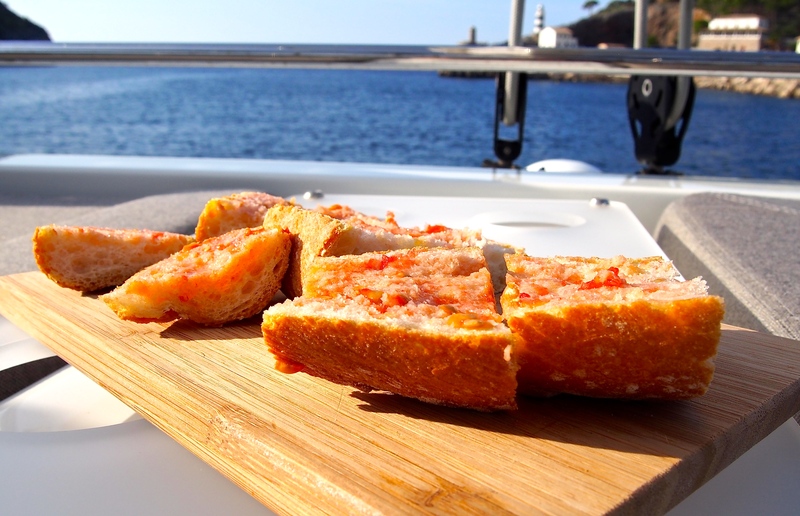 That’s how we discovered the oh so simple, Spanish snack “Pan con tomate”. When you cruise around the world, the one and only vegetable you literally find from West to East, is the tomato. This little dish became a very famous one on board. The Spanish will have “pan con tomate” with their tortilla in the morning, as a quick lunch with some shaved Iberico ham on top, or in the evening with a glass of Cava. I will add the night watch moment to this and can confirm, pan con tomato tastes great from dusk till dawn!